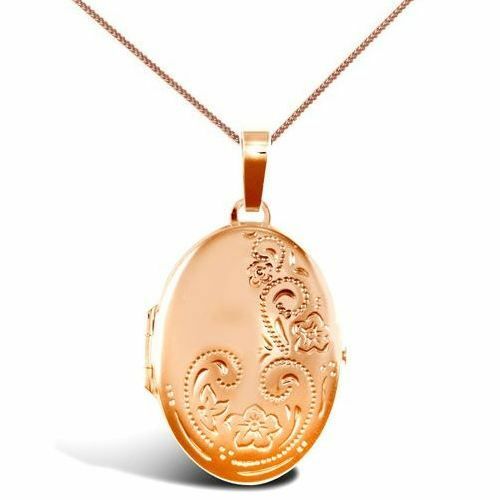 9ct rose gold flower & swirl oval locket. Polished finish and intricate flower and swirl detail. Suspended on a 9ct rose gold curb chain. Comes complete with presentation box. Locket size 45mm in height (including bale/loop) x 25mm in width. The locket holds 2 pictures. Please allow 3 working days for free UK delivery.